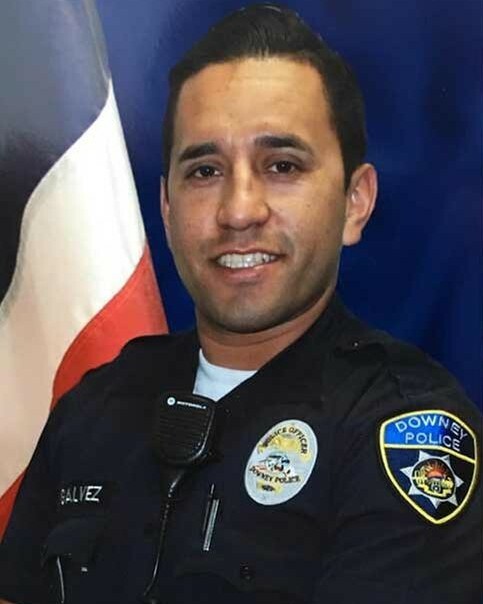 Police Officer Ricky Galvez was shot and killed from ambush while he sat in his vehicle in the Downey Police Department's parking lot at approximately 11:00 pm. Officer Galvez was preparing to go off duty when he was approached by three suspects. One of the suspects fired into Officer Galvez's car, fatally wounding him. 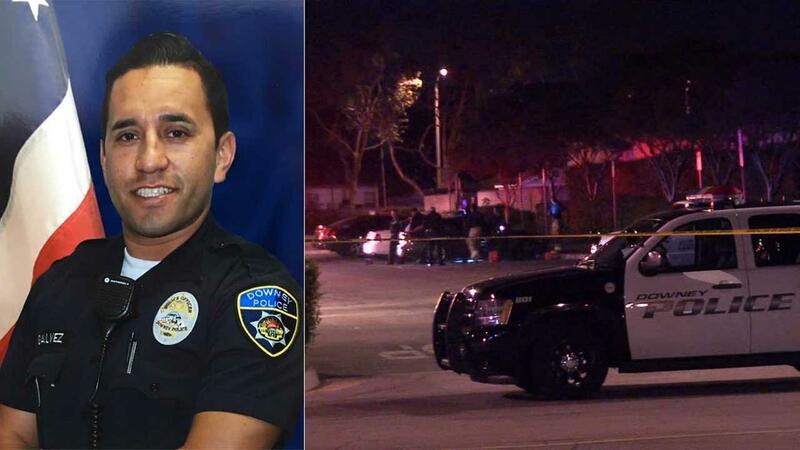 Another officer who was nearby heard the shots and pursued the subjects into the neighboring city of Montebello, where they bailed out of the their vehicle, fled on foot, and escaped. The three suspects were apprehended the next day and charged with murder. 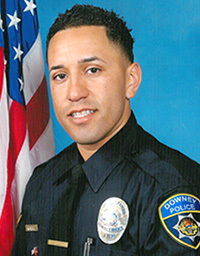 Officer Galvez was a U.S. Marine Corps veteran and had served with the Downey Police Department for five years. He is survived by his mother, brother, and sisters. This week my class was given the task of preparing a note in memory of a fallen officer on the grinder by our RTU staff. For some reason, your name stuck out like a sore thumb from the many names on the wall. I could not explain it at the time why your name stuck out from the bunch, but a gut feeling told me that I had to look up your story. After some research on what had happened that led to your end of watch, I understood that gut feeling I was getting. Even now, it is difficult to convey my thoughts into words as I try to type this. I remember a while back before starting the academy, a friend of mine who is a peace officer told me that this job is unforgiving and that I should always keep my head on a swivel regardless if I'm on or off duty. The perpetrators who targeted you were not even aware that you were a police officer and according to news sources, you were not in uniform nor armed. The perpetrators were apparently fleeing a scene and just wanted to rob you. Such incidents like this upset me because I think why is it that the best people are always taken away by people who shouldn't be around. I regularly remind myself that I too must always keep my head on a swivel and made it a daily habit to always be aware of my surroundings. It is my hope that one day I too can live up to the positive qualities you had for your fellow officers and community.